The Windows Store for RT still works well. In fact all the apps that were published back in the RT era are still there, especially those that got updated as a Windows universal app— shameless plug: Colorshot still works fine not only on Windows 10 but also on 8 and RT! Apps like Facebook or Twitter have been left behind: although their Windows 10 version is accidentally featured in the Store for RT, I still got to download the version from 2012; Facebook, for example, shows a polite disclaimer when you try to send a message to a friend: the feature is discontinued and you must install the Messenger app (which doesn’t exist for Windows RT). Tough luck. Soon, I found myself feeling like I did when I had a Windows Phone: the OS worked great but I depended on Internet Explorer for all the websites without an official app. Regardless, it was a pleasure to multitask with a split screen, or to type emails with the minimalistic keyboard cover, or to watch Netflix using the integrated kickstand. At the end of the day, I felt like the Surface RT was capable of covering all my travel needs, and I’ll admit that I was pleasantly surprised. 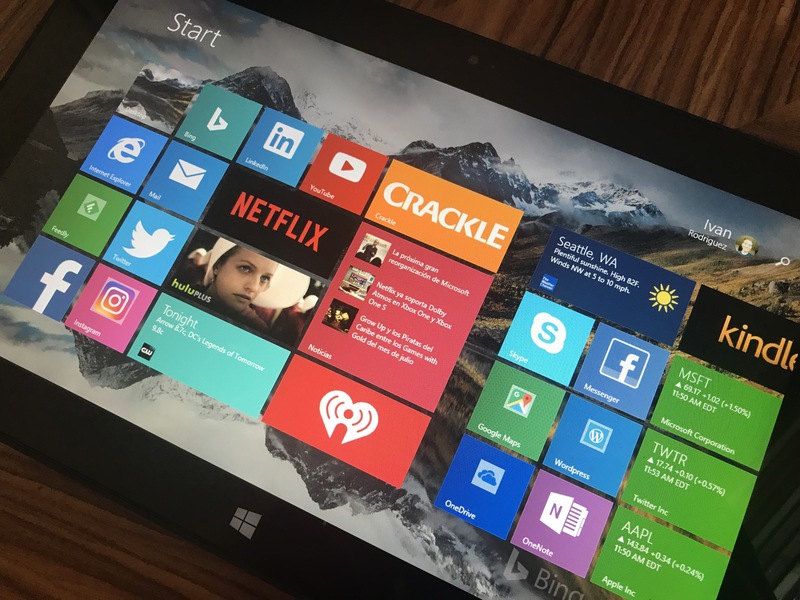 Microsoft is trying today a similar strategy once again with its Windows 10 S operating system, so I’m excited to see what devices will come out with the renovated OS. The Surface RT created a strong hardware foundation for Microsoft and for many partners who reused the same ideas. It deserved a second chance in 2012, and in a way, got it 5 years later.